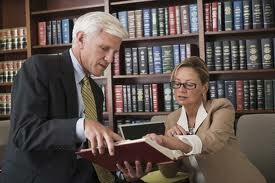 Entry-level paralegal careers in California typically require a minimum of an associate’s degree. There are several large law firms that have a consistent demand for paralegal services including Gibson & Crutcher LLP and Morrison & Foerster LLP. If private law firms do not interest you, the corporate and startup growth in California has created a sizable demand for legal services as well. San Francisco holds many paralegal opportunities, and the paralegal salary surpasses the national average at $70,700 as of May 2014. New York, specifically New York City, is the capital of corporate and large firms. One of the largest law firms in the world, Skadden Arps, is headquartered in NYC. The paralegal job growth rate falls short of the national projection due to the competitiveness and corporate desire to minimize costs. A young professional may find less competitive entry-level paralegal opportunities outside of the big city such as in Buffalo, Albany, and Rochester. Washington offers a handful of paralegal work at different entry levels. Seattle is home to several respected law firms with reputable training and mentorship programs, such as Perkins Coie LLP and Davis Wright Tremaine LLP. If you are looking for more corporate paralegal work, several corporations are headquartered in Washington including Nordstrom, Starbucks, Microsoft, and Amazon. Local government paralegal positions are also available for young professionals seeking to gain valuable work experience before competing for larger corporations and firms. Although underestimated, Alaska has several large firms specializing in tort litigation, commercial transactions and real estate, natural resources, and government contracting. However, Alaska is experiencing a decrease in job growth of -4.5% through 2022 as corporations and firms are minimizing their costs. Other than the decrease, there will be an estimated 100 paralegal job openings due to replacement of attorneys as a result of minimizing costs. There is no question as to why Washington D.C. is the best location for paralegal work. Private law firms are the primary employers of paralegals, and D.C. is home to many major national and international law firms. There are also several corporations, government agencies, and insurance groups with substantial paralegal opportunities. Like some previously mentioned states, D.C.’s paralegal job growth rate is lower than the average due to cuts in costs, but the area continues to have the top competitive compensation and benefits that lure in the best paralegals. Are Paralegals Entitled to Overtime Pay?